27 holes at the foot of the Atlas Mountains. 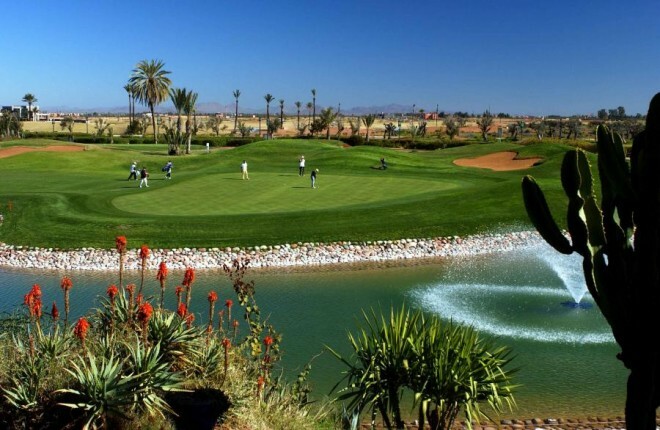 The Amelkis golf course is a real challenge for the golfer who is visiting Marrakesh. The architect's objective was to design a golf course that requires some expertise in all segments of the golf game. Designed in 1995 by the famous American architect, Cabell Robinson, the Amelkis Golf is one of the most selective golf course of Morocco, with some technical difficulties that will appeal to your sense of strategy. Address: Km 12, route de Ouarzazate - Marrakesh. Royal Kingdom of Morocco.